Tired of using the same old paint splatters that are 2D? 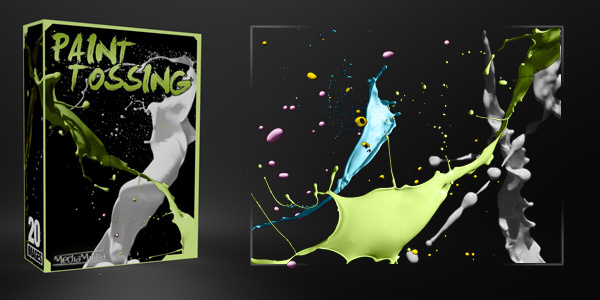 These Paint tossing images give your project a 3D feel that makes your image pop. There are 20 different styles, some with a white background and some with a black. If you do not like the colors, just open the document inside of Photoshop, add a new layer and fill it with the color you want. Then change the layer blending mode to Color. Feel free to use them in Personal or Commercial projects. 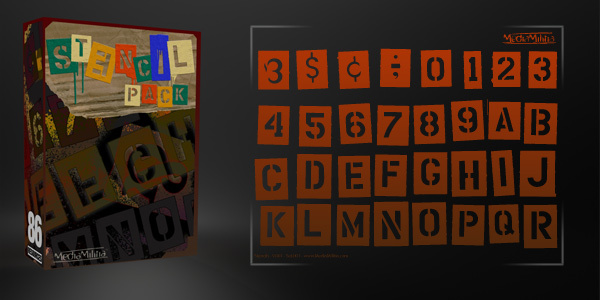 Stencil Pack – 43 Images + 43 Vectors – 86 Resources total! WHAT – these are amazing. Thanks for sharing!! Fantastic images, thanks very much for sharing!!!! Dude, those are gonna be soooo handy! Thanks! Wooow, Ive been searching for this for sooo long! Thanks a million! these are totally beautiful !! i’d like to try that sometime. These are awesome… thank you so kindly! This is pure gold. Thanks! Nicely done. Makes me wish I had an infra red shutter trigger! I have been looking for these! Thanks much! Amazing bro! thank u so much!. Thank you for making these free for us to use. Much appreciated. Thanks a lot! This is an extremely useful package. deam it really helps everybody really thnks=)!! FREAKING AWESOME! Thanks so much! Finally got back to your site to thank you for the paint spatters after posting a wallpaper using them. I love to mix real object with digital. Thanks again. thanks!!! this is perfect!! 100000000 thanks!! This images are sooooo TOUGH!! thanks for sharing them! just LOVE it !, thank you ! thanks a lot… was searching for it since a long time… Ur a GOD…. loll…. Great and fresh look on your site. I my self is a creative person liked your work. I like your work so much! It’s very inspiring, useful and educational. Thanx! wow, truly amazing work. Thanks so much for all the freebies! Thank you so much for these images, I’ve been looking all over the internet but I can’t find one with a good quality, only on stock images websites which is not free. Thanks again, great quality! @Alexxs: Reupload? Did the link not work for you or you saying make a version 2? Hi there. 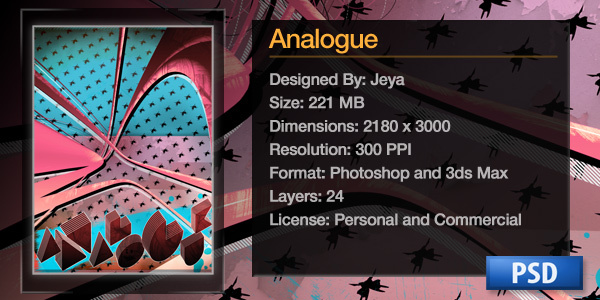 Thanks for offering these fantastic graphics. i really appreciate it. Have a lovely Christmas & New year !!!!!! Excellent images! Thank you from Germany for sharing them with us and giving people a chance to learn. great stuff – the quality is amazing..
@JC: Hey JC! Thanks so much for posting them on your blog. That means a lot to us! I am glad you found them useful. We are planning on a version 2 to be released soon. They will be higher res and a lot more of them! We just have to wait for the snow to melt in our area. I looked all over the web for something like this. OMG…!!! Do you know how much i love you right now?? I’ve been looking for something like this for days…!! And I’m just stuck with ridiculous brushes that are 2D, and im hating my design.. But VOALA, i found this, you are sent from heaven. My project wouldn’t be the same without this, thank you sooo much from the bottom of my heart…! Thanks for sharing! This is awsome! :O *O* genial genial genial genial is all i have to say ;D!!!!!!!!!!! someone could upload this pack again? ?because the links is offline, and i really need this pack, please!!! i think i have a conection problem, its coming hapening more and more times. but now i can make the download thanks again!! can’t beleve that you are giving this great pack for free! thats really amazing. really nice stuff. thanks for sharing. thanks again for these fantastic pack. Thanks so much for uploading such great resources!! This is great, thanks a lot !